Don’t you just love photography? 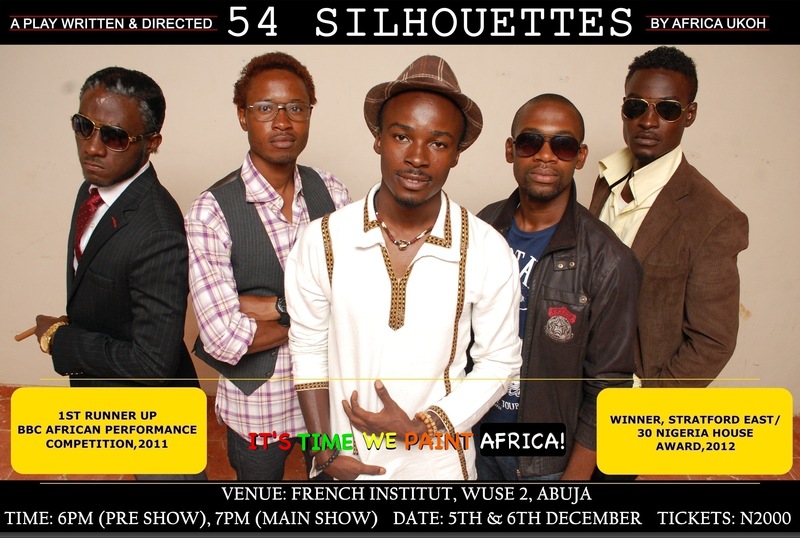 We’ve got a brand new ensemble promo photo ahead of our performance of 54 Silhouettes in Abuja. Check it out and let us know what you think. Photography by Victor Audu from VIA Concepts. Costumes and accessories by ONTOP Apparel, (Jos Plateau state), a leader in top quality fashion. This entry was posted in Acting, Arts, Event, Performance arts, Photography, The Movement, Theatre, Visual arts and tagged 54 Silhouettes, Abuja, acting, actors, art, ensemble, Nigeria, performance, photography, theatre by africanrenaissancetheatre. Bookmark the permalink.